Last year, the National Academy of Medicine and National Research Council released the seminal Transforming the Workforce report that emphasizes the competencies and qualifications birth to third grade educators need to possess in order to support high-quality learning for young children. The report makes 13 recommendations aimed at bringing about greater educator quality and continuity from birth through early elementary school. 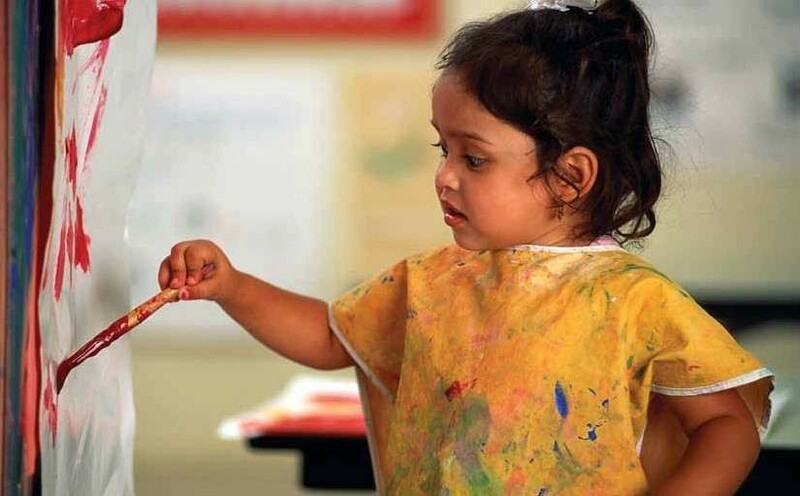 Of all the report’s recommendations, the one that has garnered the most attention is the second, which calls for the development of pathways and timelines for transitioning to a minimum bachelor’s degree requirement with specialized knowledge of ECE for all lead teachers of children from infancy to third grade. The recommendation is based on research suggesting that these qualifications are associated with higher-quality teaching and strong learning environments. But significant challenges exist in realizing this recommendation. Why Are Wages for Toronto’s Early Childhood Educators So Low? Daycare costs may be skyrocketing, but workers are not cashing in. It’s no secret that childcare costs have—and continue to—skyrocket in Toronto. These days, the median cost of childcare for an infant is now more than $1,700 per month, and that number seems to be growing steadily. 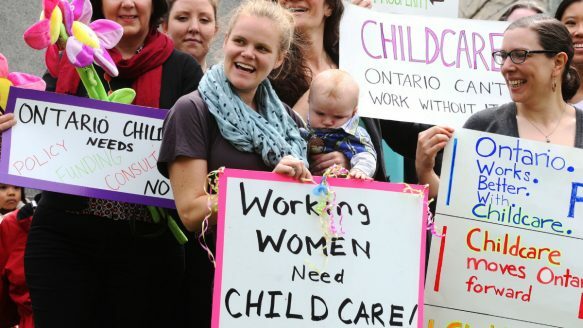 In fact, Ontarians pay the most for childcare in the country. But what of the people who provide the services? How much of that money gets passed onto them? Government is increasing salaries to early childhood educators employed at early years centres by two per cent, as of July 2016. Child and Family programs in Ontario: Where do RECES fit in? "Transforming Ontario's Early Years Child and Family Programs"
Ontario is moving forward on its commitment to integrate and transform its child and family programs. Four existing programs, funded by the Ontario government, will be integrated. Ontario Early Years Child and Family Centres (OEYCFCs) will give families and children access to high-quality early years programs, as well as some programs that meet needs within their community. Lyndsay is an RECE who has worked within the Ontario child care sector, both directly in programs and in policy research and advocacy. Lyndsay holds both a BA in Early Childhood Education and an MA in Early Childhood Studies from Ryerson University School of Early Childhood Studies. Lyndsay advocates passionately for child care policies that support all Canadian families and that put children at the centre of system building. At the heart of Lyndsay's advocacy work are the dedicated early childhood educators who provide high quality programs for children and families every single day. Lyndsay strongly believes that early childhood educators have the knowledge, the skills and the capacity to initiate positive change in the sector and she is committed to finding space for ECEs to mobilize and engage in policy discussions that impact our sector. In these very exciting times of change in the Early Learning and Care field, Lyndsay’s extensive knowledge of the current landscape for our early learning professionals and her passion for influencing change that matters to ECEs and to children and families will be key assets in supporting and furthering our mission. We very much look forward to working with Lyndsay on all of the exciting initiatives and activities we have planned for 2016 and beyond! Across Canada and around the Globe policymakers are looking to expand children’s access to early childhood education. Join Michel Boivin, Canada Research Chair on Child Social Development and professor of psychology at the School of Psychology of Université Laval, Rowena Phair of the OECD’s Education and Skills Directorate and Tove Mogstad Slinde of the OECD Network on Early Childhood Education and Care as they discuss how states are expanding ECE access while maintaining program quality; balancing the needs of 0-3 year olds with programs for 4-6 year olds; and addressing children’s right to ECE with parents need for child care. The federal families minister is heading west to meet his provincial and territorial counterparts to talk about the path forward on a national child-care system. My Name is Shailja Jain, and I am a fourth-year degree student in the School of Early Childhood at George Brown College. In partial fulfillment of the requirements for the Bachelor in Early Childhood Leadership, I am required to conduct a research project. The study is entitled Gendering in Early Childhood Settings: The Impact of Training on Educator Practice. The purpose of the study is to explore the relationship between educator training and practice in regards to gender. I am presently seeking Registered Early Childhood Educators who have worked in the field between 5 and 10 years to participate in this study. Your participation would consist of an interview which will take approximately 45 minutes to complete. Your participation in this study will contribute to the advancement of the sector of early childhood when working with children who may identify outside of a traditional gender norm. Please contact me by email below if you are available to assist. The best line of the Trudeau government’s first day— widely reported and praised in the international media—was the new PM’s. In response to a reporter’s question about why he’d chosen to create a gender-parity cabinet, he rather matter of factly observed “because it’s 2015”. This ostensibly simple statement summed up a complexity of attitudes, beliefs and even world views in three words. For those feminists who remain doggedly optimistic after a decade nasty enough to slay the optimism of Anne of Green Gables, it raised hopes that the first day’s lustre could foreshadow more significant changes to come.